Most of the people understand UX as something that can be later thought. But, this is not what UX is. 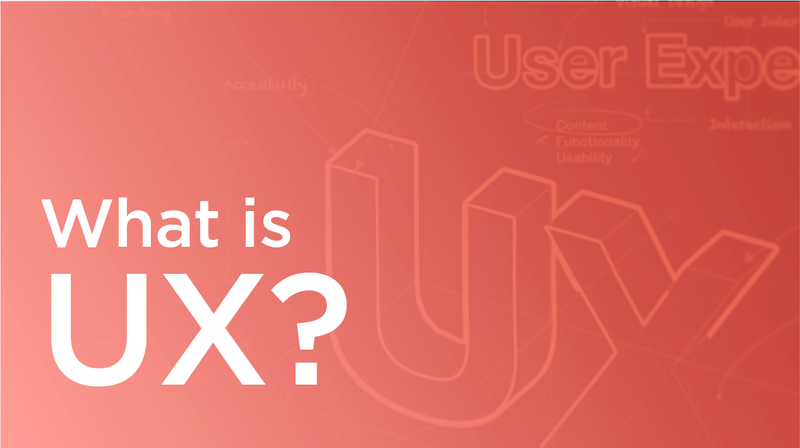 Now since we have broken some myths about UX, lets discuss what UX really is. User experience design has many facets. It is a larger umbrella, which covers interaction design, user research, graphic design, visual design and much more. But at the core of it is a data-driven scientific process. UX is about human psychology, which is about how your brain perceives information and how your brain understands information. All of these depend on your limitations and abilities as human beings, which is what makes user experience a scientific process. Most of the people believe that user research is the only center of user experience, but it is not true in every case. Some clients might have confidential projects where they cannot give access to users while some clients might not have budget for user research. What do you do then? There are multiple sources of data, which will help validate your ideas or concepts. These sources can be google, finding users on your own and meeting a subject matter expert. Once you get the data, the question arises - how can you utilize it? These data is going to draw a pattern, which you must learn to pick. That’s where UX is extremely data driven. Now the core of user experience is marrying business goals and user needs. Imagine a client demands, “We want to increase our ROI by 20%.” But how do you do that? In such cases, as user experience designer, when you talk to your clients asking them the business problem, you will realize that it is actually not the real problem. If you talk to them more and try to understand more about their business, you will find that the underline core problems are very different from just increasing the ROI. That’s when you realize that if you solve these problems, ROI will increase. How to solve user problems? Now the next question is - how do you solve user problems? You can go to the users and understand their problem, their challenges and their feelings towards a certain product. When you solve problems of certain set of users for the specific business, the problems which are underlined due to which ROI was not increasing are solved. This is where great user experience really happens. Suppose, a client comes up with a million dollar idea and asks how to make it a success. Once you learn that their idea at the concept level is strong, then the execution is important. 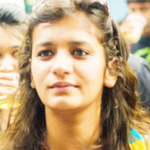 It requires understanding of client’s idea and current domain as well as understanding from parallel domains. From this entire process, a large amount of data can be gathered. These data give opportunities and the new ideas would be the USP of your business. 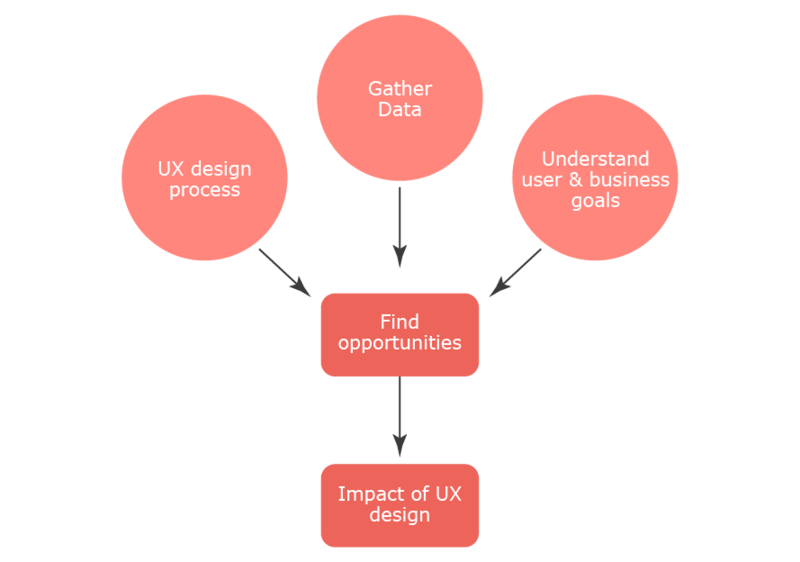 As user experience designer, it is important to find opportunities based on the process, data gathered and understanding of business goals and user needs. A good user experience design can create impact in the industry only through this process. 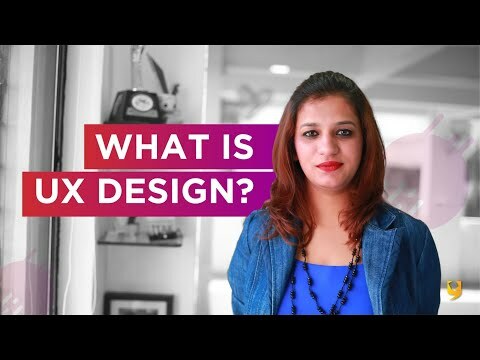 Design practitioners and people who expect from a UX design company like us to provide this service are both ill-educated about user experience. This is where the gap brings in and simple understanding of UX becomes complicated. Most people look at UX as a short-term solution, which is just making things pretty. Pretty designs don’t create impact, but the experience by using those designs creates an impact. For example, parents want to arrange a grand birthday party of their 5-year-old kid. Here, the event manager will ask the parents, “Which cartoons, foodstuffs, cake, etc. your kid like?” This is where s/he has started understanding the kid (user) for whom s/he is designing and is also validating with the parents (business) who are going to pay the money. Finally, the event manager will come up with a concept, which is taking care of the finances of the parent and also providing the experience that the child wants to have. This is how user experience can have impact on every project and every business. User experience starts with user research, then finding business problems, solving these problems and ends with creating impact by the UX design. UX is not about making things pretty or the way user is going to do something short term. Whereas, it is about building long-term relationship with your customers that helps in increasing your ROI.